The Bakery Photo Collective is an artist-run space in Westbrook, Maine that serves the Southern Maine photographic community. 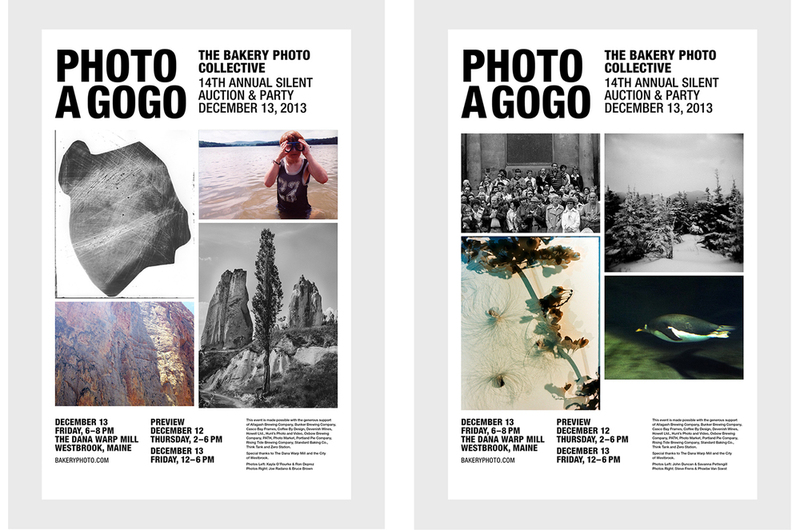 For the past five years, PATH has designed an invitation and series of posters for their annual silent auction and party, Photo A Go-Go. The event supports The Bakery's darkroom and digital facility, artist residencies and artist talks. Each year's print materials feature an array of photographs from the auction’s donations.